Kalashnikov, maker of the AK-47, the world’s most famous machine gun, has trained its sights Elon Musk, unveiling at a Moscow military expo an electric car the gunsmith says will compete with Tesla. The car itself, called the CV-1, is designed to mimic the Soviet-era Izh 2125 Kombi, a station wagon released to the communist masses in 1972. Yet despite its retro lines, the CV-1 packs a modern electric engine and a 90 kilowatt-hour battery. The company says the car gets 350 kilometers of range off each charge. The unveiling took place at Army Expo 2018, a major weapons trade show in Moscow hosted by Russia’s Ministry of Defense, which draws thousands of makers of heavy war machinery on a yearly basis. Alongside the CV-1, the audience at Army Expo 2018 got a first look at over 300 new pieces of military hardware and weapons systems that were in full blaze on firing ranges and streaking overhead in airshows. Kalashnikov even had a giant robot soldier on offer at the fair. According to Kalashnikov’s stats, however, it’s clear that Tesla isn’t under the gun to contend with the CV-1 just yet. When asked by Russian news site RBC what advantages the car would have over a Tesla, Sofia Ivanova, a Kalashnikov spokesperson, couldn’t really say how its vehicle would outperform its rivals. And while the frumpy car boasts a fairy good range, it takes 6 seconds for it to accelerate from 0 to 100 kilometers per hour. By contrast, the $35,000 Tesla Model 3 can top that speed in four seconds and has a broader range of 500 kilometers per charge. There is no price tag yet for the CV-1. And while Kalashnikov makes dozens of military vehicle lines for the Russian government, it’s unlikely to have the funding and expertise to emerge as a market leader in consumer vehicles just yet. Still, the effort is not lost in a country where electric cars are making small but steady inroads. According to data from Autostat, the country’s vehicle statistics bureau, there were 1,800 electric cars registered in Russia at the beginning of this year. While that’s a small number compared to other countries, it represents explosive growth over 2016, during which only 1000 were registered. What’s more is that figure doesn’t account for the steady stream of used electric cars making their way from Japan, which are especially popular in Russia’s Far East. Anecdotally, there are around 1,000 of these, and their owners took to Vladivostok’s streets in January to demand the government install more charge stations in their city. And this, of course, is the real battle. While Moscow and St Petersburg boast a fairly robust budding charge infrastructure, many other regions in the vast country are far behind. But they are trying to catch up. Just last April, the Murmansk Regional Parliament began tabling the kinds of benefits – such as tax incentives, parking privileges and other perks like waived registration fees – it could start offering its local electric car drivers. It’s even exploring ways to power charge stations with the area’s abundant wind energy. And within the city itself, the number of charge stations is starting to pick up. The first was installed last year as a gift from Bellona at the Park Inn Hotel. Murmansk City Hall seems anxious to follow on that success. 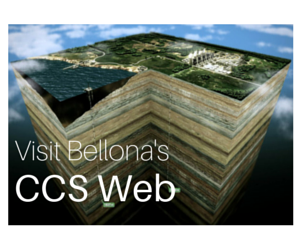 In November, it signed an agreement with Bellona that aims to ease the anxieties of e-car drivers who would rather watch the road instead of their charge meters. The pact is geared toward building a network of charge stations at critical points in Finland, Norway and along highways in Northwest Russia to both boost charge confidence among those driving e-cars from Europe, and to spur growth in the number of those looking to buy e-cars in Russia. In June, Murmansk announced it would build two more high-speed chargers, one in the region of Zapolyarny and the other near Starya Titovka, both near the border crossing to Norway. Granted, the number of electric cars in Russia is still nowhere near the throngs of the zero-emissions vehicles crowding the highways of neighboring Scandinavia. But legislation from Moscow seems keen to change that. A 2015 government resolution required every gas station across Russia’s 11 times zones to install charge stations alongside their pumps for traditional gas. 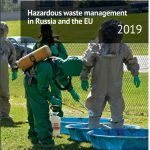 The follow-through on that legislation has been excruciatingly sluggish – which is exactly was has angered those protesting e-car drivers in Vladivostok – but it could pave the way for requirements that are nearly as ambitious as Europe’s. But cost of electric cars presents hurdles of its own. The sticker price of a new Tesla is far out of reach for most Russians. 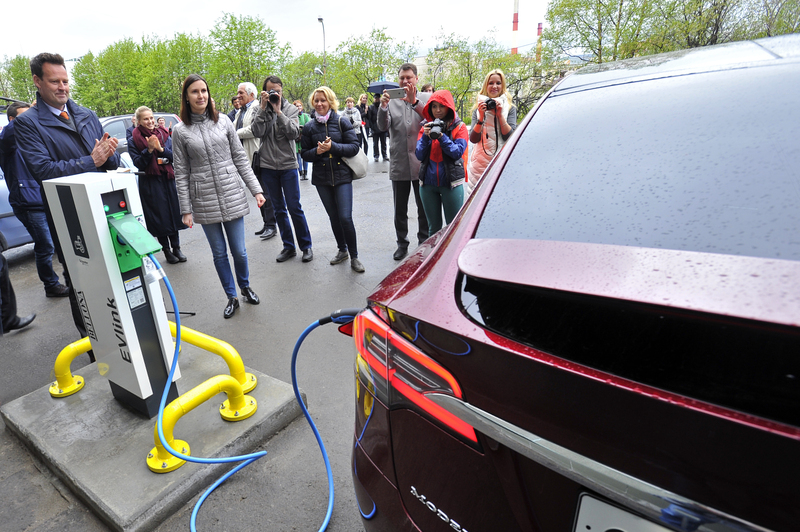 But cheaper electric cars, like the Nissan Leaf, are becoming more frequent sights on Russian streets – and this, in turn, puts popular pressure on authorities to make good on building those charging stations promised by legislation. 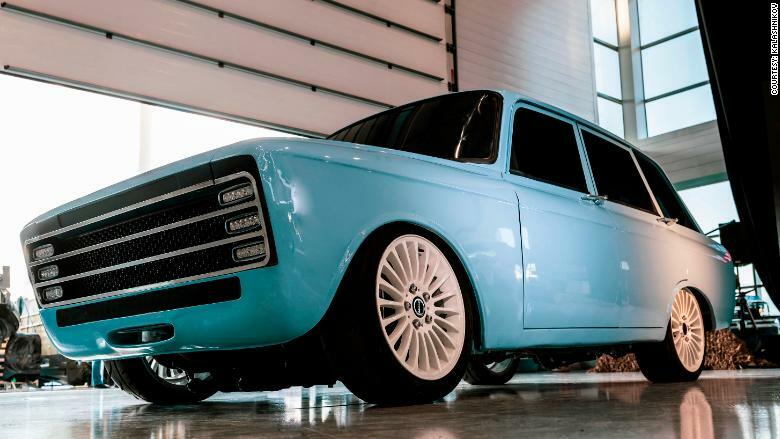 Native-built Russian electric cars are better yet. The giant Russian automaker Lada in 2012 built an electric mini SUV called the El Lada, and in 2016 followed with the prototype for the Lada Vesta. Still, the projections for the CV-1 offered by Ivanova, the Kalashnikov’s spokesperson, are modest, but she still wants to give Tesla a run for its money. 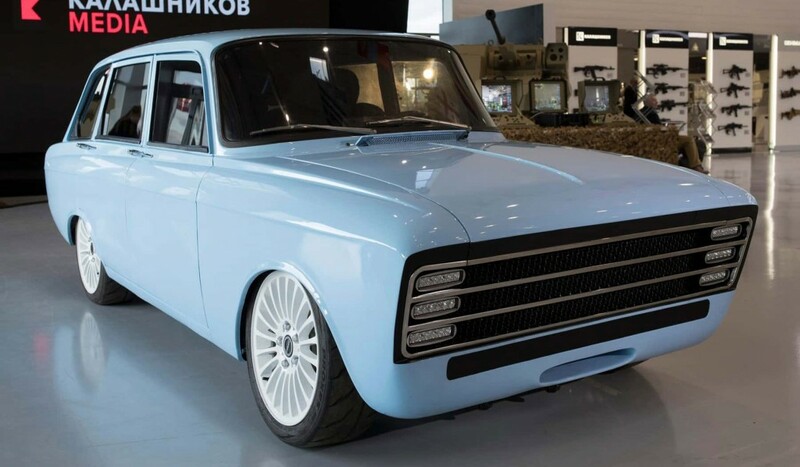 For the good of the emerging electric car market in Russia, Bellona encourages Kalashnikov to take its best shot.